Mayor Dave Bing pressured Warren C. Evans to resign as Chief of Police for the Detroit Police Department earlier this week. Mayor Bing has appointed Ralph L. Godbee, Jr. to be the third Chief of Police in Detroit in under two years. He is appointed on an interim basis, although there is much speculation that it will become a permanent position. According to numerous reports, much of the cause for this stems from a reality TV show that Mr. Evans was a part of pitching to the networks and from his reputation as a "cowboy" police officer. Narcotics seizures more than doubled. In addition, Mr. Evans introduced a text messaging based method for citizens to pass information anonymously to the police. All of this was on top of saving the taxpayers more than $7 million in reduced overtime expenses. Quite frankly, if a certain someone is able to produce results like this then, as far as I'm concerned, they can appear in a hundred different reality television shows for all I care. Obviously, Mayor Bing has a different opinion in this matter. Dave Bing is laking in cajones, which are necessary to run Detroit. 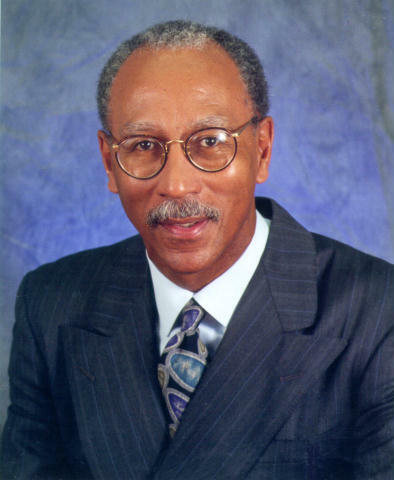 Mayor Dave Bing showed that Crime is not the #1 issue in Detroit - and it should be. He had Saul Green, Deputy Mayor fire (forced to resign) PC Warren Evans. Bing if Evans was such a problem - should have stepped up and fired Evans and have a press conference with a list of reasons. But Bing and Green didnt - they alluded to this and that - none illegal and none worthy of firing a police professioanl. They seemed to announce Godbee and the New Chief of Police - but later said he was the 'interim' chief. Wether or not you like Bing or Evans - Bing should have fired him - personally - not letting underlings do this deed. Bing has promised / said Detroit will have a national search for a new police chief - I have advocated that for over 20 years - it must be done. Detroit does not need a new inbred police chief - tied to the leaders? and politicians past and present. We need to clean house at DPD. I suggest x - LA Police Chief William Bratton. Who do you want? Bratton would be the ideal person to step in to lead DPD. However, if Mayor Bing has issues w/ Warren Evans then they'll REALLY have issues w/ Bill Bratton.